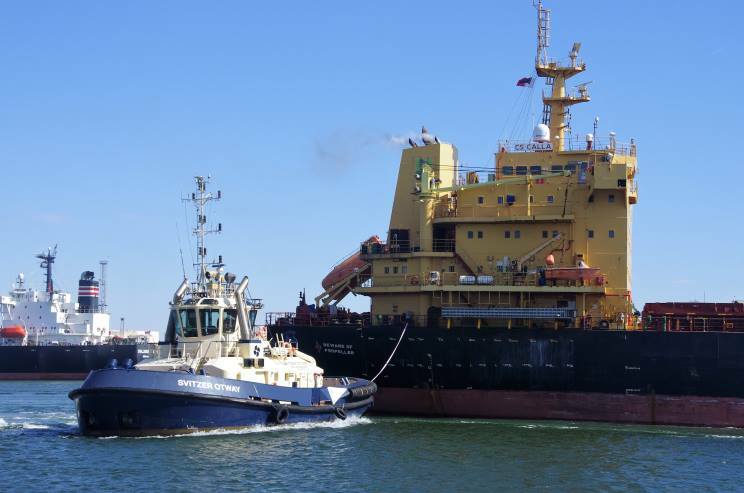 April 8, 2018: CS Calla being assisted by the tug Svitzer Otway at Yarraville, VIC, Australia. The tanker Challenge Peak is seen in the background. 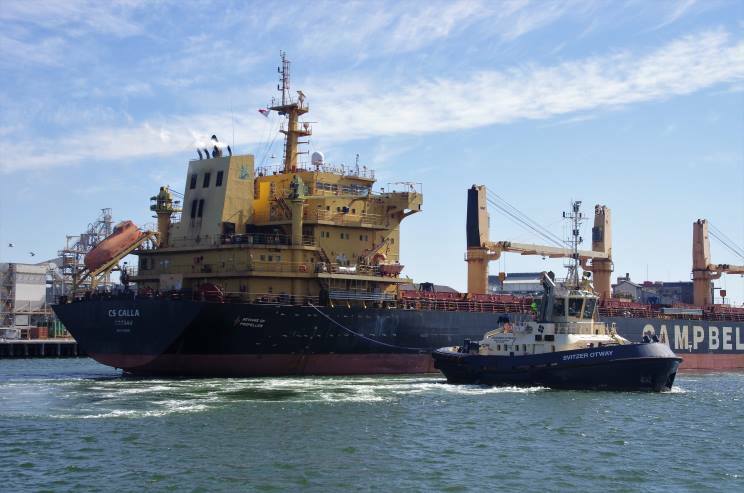 April 8, 2018: CS Calla being assisted by the tug Svitzer Otway at Yarraville, VIC, Australia. 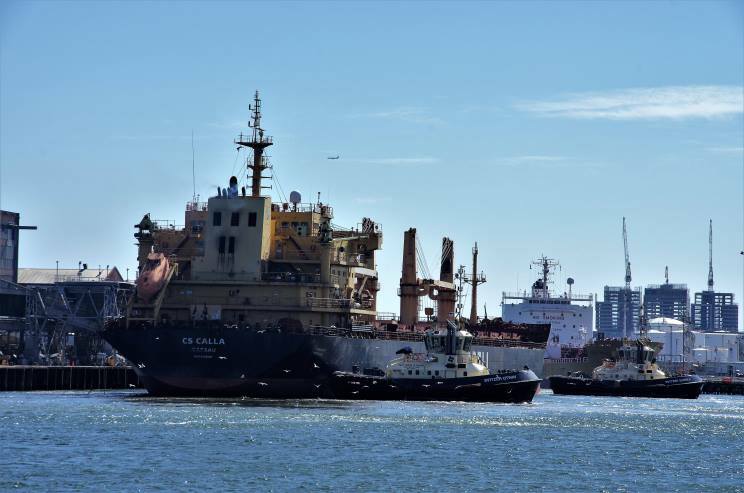 April 8, 2018: CS Calla being assisted by the tugs Svitzer Otway and Eureka at Yarraville, VIC, Australia.